When state lawmakers meet next week to begin the weighty task of reforming North Carolina’s knotty method of financing public schools, the sufficiency of the state’s K-12 funding will not be on the table. It’s a contentious point as Horn’s task force begins its work November 1, taking on reforms that most North Carolina political observers acknowledge to be one of the defining public education issues of our time. “This has the potential to be the biggest change in North Carolina education policy in 100 years. This is a monumental undertaking,” says Keith Poston, president and executive director of the Public School Forum of N.C., a nonpartisan research group based in Raleigh that authors an annual study of K-12 funding gaps between wealthy and poor counties. State lawmakers assembled the task force this year after a scathing 2016 report from the legislature’s Program Evaluation Division (PED) pointed to major fissures in the state’s funding system. According to that report, the state’s allotment system—which hinges on 37 separate funding categories for K-12 needs such as teachers and textbooks, as well as supplements for small and low-income districts—is riddled with deficiencies that favor wealthy counties over poor counties. The report slammed inequities for classroom teachers, children with disabilities and students with limited English proficiency, as well as “unsubstantiated” funding for small counties and “overly complex” distributions for low-wealth districts. PED officials argued lawmakers should dismantle the entire system or begin patching up funding headaches, prompting immediate calls from lawmakers to convene a special task force. The task force, which is dominated by Republican lawmakers selected by House and Senate leadership, is expected to prepare an interim report on its work in 2018, although Horn estimated this week that the group’s work could take more than two years to complete. “This is a huge undertaking with massive implications,” said Horn. It’s unclear how the task force’s work will merge, if at all, with similar efforts to take up school funding in North Carolina. Gov. Roy Cooper is expected to announce appointments soon for his own K-12 commission, tasked with readying recommendations for ensuring equal access to resources across school districts. Cooper announced the commission this summer, more than two decades after the seminal Leandro case spurred ongoing legal wrangling over whether North Carolina has fairly ensured a “sound basic education” for all. Meanwhile, UNC System President Margaret Spellings is expected to helm a commission of business and political leaders that will consider ways to boost state residents’ educational attainment and economic mobility, a measure of a poor individual’s ability to reach the middle class. It seems likely, however, that Horn’s task force will be key in that it could propel ideas into actual law. Among the panel’s first goals, Horn said he hopes to address PED-cited issues for children with disabilities and lay down definitions for small and poor counties. 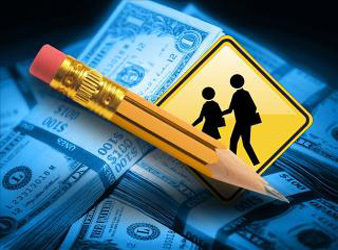 The group is also expected to consider PED’s recommendation for “weighted student-based funding,” a somewhat simpler K-12 funding method that sets a base spending amount for each student and builds in layers of additional “weights” for students needing additional services, such as students with disabilities or students who speak English as a second language. Horn acknowledged weighted student-based funding will be “just one” idea on the table. In the meantime, he rebuffed calls from some Democrats and public school advocates that legislators take up the overall adequacy of the state’s K-12 funding. North Carolina’s per-pupil funding—more than $7,300 per student—plunged after the 2008 recession, and today, it ranks a lowly 43rd in the nation, according to one nonpartisan national benchmark released annually by the National Education Association. Another report, issued this year by the Education Law Center at the Rutgers Graduate School of Education, dished out an “F” grade to North Carolina for its “funding effort,” a measure that assesses per-student funding relative to the state’s fiscal capacity, or its gross state product. 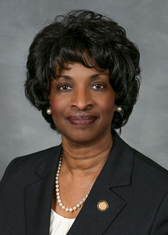 Sen. Valerie Foushee, an Orange County Democrat who sits on Horn’s legislative task force and the General Assembly committee that commissioned last year’s PED study, says the sufficiency of state funding should be an integral part of the task force’s work in the next two years. “Quite frankly, the size of the pie is the biggest issue,” said Foushee. 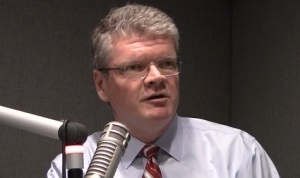 Poston agrees, calling this week for a “wide-open” approach to studying school funding that considers, among other things, whether the state is properly funding schools to meet children’s needs. The task force should also weigh methods for bridging yawning gaps in student funding between wealthy and poor counties, Poston said, which is largely a reflection of the widely varying tax bases in the state. The Public School Forum’s 2017 report noted some affluent areas such as Orange County can spend more than $4,700 per student to supplement state allocations, but high-poverty regions like Swain County could only chip in less than $400 per student. And while Poston described his group as “agnostic” when it comes to the type of K-12 funding method, he said that he hopes legislators have not set out with an end goal already in mind. Advocates say the legislative task force should also be wary of stripping away funding allotments created with the goal of speeding cash to poor and small districts with the greatest need. While this year’s Education Law Center report slammed the state’s K-12 funding efforts, it offered a somewhat positive assessment of North Carolina’s efforts to boost small and needy counties, giving the state a “C” grade for funding distribution. 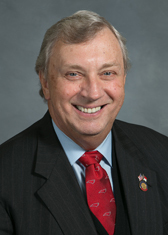 Poston said those supplements are a boon to the state’s low-income counties, and while he acknowledged clear gaps between districts, he said state officials should be aware that North Carolina’s system is still more equitable than other states that rely on local governments to bankroll public schools. Foushee said a “big part” of the group’s discussion should focus on components of the school funding system that work, as well as those that do not. But she says simplification of North Carolina’s multi-tiered funding allocations should be welcome. Horn says the task force won’t seek to undermine equity, but lawmakers need to come to an agreement on how they define the state’s funding shortfalls. Horn added that the group will hear from state and out-of-state experts on what models, if any, have been most fair and efficient for public school students nationwide.